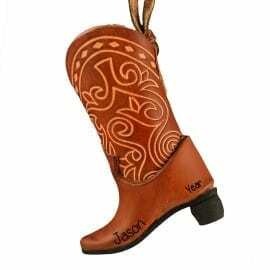 Incorporate the rustic style of our personalized western & lodge Christmas ornaments on your family’ tree this year. 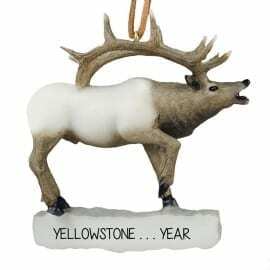 Featuring a huge selection of cowboy, cowgirl, moose, elk and reindeer keepsakes, each one of these finely crafted holiday decorations can be hand personalized at no additional charge. 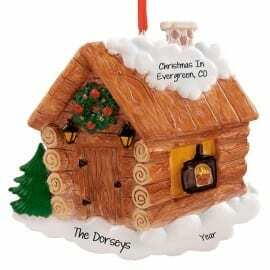 Many customers like to commemorate an awesome trip to a dude ranch or relaxing western resort on their travel tree. Other customers decorate a small tree to keep in their family’s cozy cabin retreat. Over the years, we have been a part of numerous family reunions by providing keepsakes with an outdoor theme for the whole family as a memento of a meaningful family trip. Rekindle warm memories of a couple’s vacation with any one of our log cabin designs. 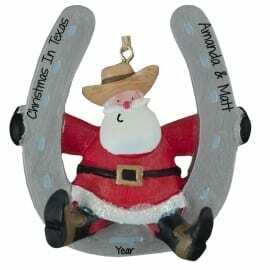 Whether you traveled to a winter lodge or enjoyed a Wild West vacation, Personalized Ornaments For You is bound to have the best travel souvenirs with a personalized touch.